London is a fantastic city to visit if you want to enjoy the ultimate city shopping break. It has a number of different districts, dotted all across the city which cater to all kinds of tastes and budgets. So whether you want to engage in some designer window shopping, pick up a vintage dress or hunt down the perfect antique bargain, London has it all. 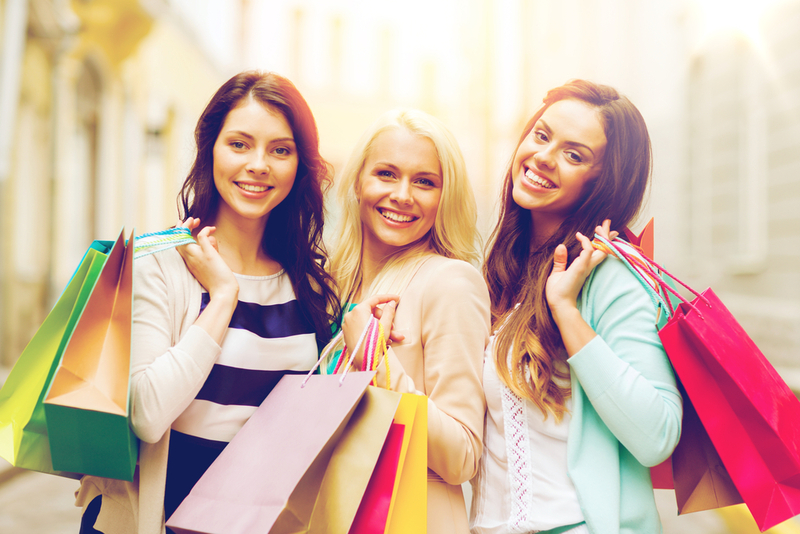 If you are booked to stay at one of the Montcalm hotels then you will be right on the doorstep of some of the city’s biggest and best shopping areas. It’s important to get your accommodation right if you are coming to London to indulge in some retail therapy as the last thing you want is to be faced with three tube changes and an hour long journey back to your hotel at the end of the day when you are laden with bags. There are a number of hotels within walking distance of London’s most prominent shopping districts but that doesn’t necessarily have to be the case as London does have a great public transport network; as long as you are within a 15-20 minute journey of your hotel you should have very little trouble. So where should you go shopping? Choose any one of the 5 star hotels in London and you should be able to reach the prestigious Mayfair which is home to the likes of Mount Street and Dover Street Market. Other luxury shopping destinations in the city include the famous Bond Street which is renowned for designer brands such as Tiffany & Co, Jimmy Choo and Chanel, The Village at Westfield London which can boast more than 40 designer stores under one roof and Sloane Street which is widely considered to be one of the most exclusive shopping destinations in the city, and can claim a number of designer flagship stores such as Roberto Cavalli and Tom Ford. If high street brands are more to your taste then Oxford Street and the surrounding areas are the ideal choice for you. Oxford Street is undoubtedly one of the most famous shopping stretches in the world and can claim around 300 shops including a number of flagship and department stores too. Names such as Topshop, H&M, Primark and Debenhams can all be explored here and there are plenty of bars and restaurants to keep you going throughout the entire day. The best thing about Oxford Street, aside from the affordable shopping, is that it is also connected to a number of other great shopping options such as Regent’s Street and St Christopher’s Place so once you have exhausted the delights of the high street brands you can move on to something a little more luxurious. Guests staying at the Montcalm Royale London House Hotel will be pleased to know that some of the more unique and diverse shopping options are just a stone’s throw away from their hotel. East London is well known for its eclectic and vibrant atmosphere and this certainly applies to the stores and markets you can discover in the area as well. Markets such as Brick Lane and Spitalfields are must-visits, especially if you want a second-hand bargain but there are also a good number of vintage clothing stores to be found in the East London area as well which are worth a trip if you are into this type of fashion. Names to watch out for include Hunky Dory Vintage, Absolute Vintage and Blitz. We have briefly touched on a couple of London’s best markets above but if the market scene is your type of experience then London can also claim a number of internationally-renowned markets which can be a fun and thrilling way to chase down a bargain or two. Notting Hill’s Portobello Road Market is probably the most popular and well known market in the city and on main market days (Friday and Saturday) there around 1,000 stalls to be explored as well as the many vintage and antique shops which surround the market as well. You can find all kinds of goods and wares here, not just antiques, and it is well worth a wander just for the atmosphere which arrives over the weekend. Camden Town is another larger market which is great for those looking for a top second-hand find; you’ll also find books and arts & crafts jewellery sold here too. For furniture, you can’t go wrong with Alfies Antiques and the best part is that this is indoors so if the London weather doesn’t turn out great, you can still go and take a look at what is on offer; the view from the terrace café is pretty great here as well. Finally, we have to mention Westfield Stratford, which is just 15 minutes away from The Montcalm Royale London House Hotel. You won’t find many second-hand options here but it’s a good choice if you want a variety of shops all under one roof. Westfield Stratford is one of the largest shopping malls in Europe with more than 280 stores. It doesn’t just provide visitors with the chance to shop however; there are also around 70 restaurants, a 17 screen cinema, a 24 hour casino and even a supermarket. Some of the stores are the largest in the city and there is an impressive John Lewis department store and a vast Marks and Spencer department store as well. It is very easy to access if you are travelling via public transport and is served by Stratford Station which sits just to the south of the site. If you would prefer to drive then there are also around 5,000 parking spaces available on site which also makes it a convenient option.